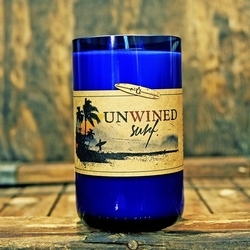 Unwined Surf offers an assortment of fragrances inspired by the relaxing beach lifestyle. Take a moment and browse the collection - there's something for everyone! 12 oz of premium soy wax. Each candle has a cotton wick. Zesty lime and subtle coconut make this classic scent perfect for year-round relaxation. 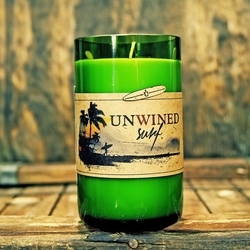 Unwind's take on the classic fragrance of surf wax. 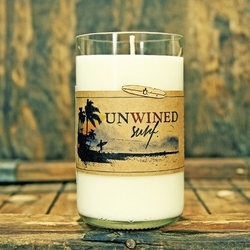 This candle will take you to the beach.